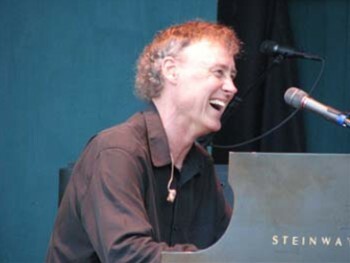 Bruce Randall Hornsby (born November 23, 1954) is an American singer and keyboardist. Hornsby draws frequently from classical, jazz, bluegrass, folk, Motown, gospel, rock, blues, and jam band musical traditions. Hornsby's recordings have been recognized on a number of occasions with industry awards, including the 1987 Grammy Award for Best New Artist with Bruce Hornsby and the Range, the 1990 Grammy Award for Best Bluegrass Album, and the 1994 Grammy Award for Best Pop Instrumental Performance.